Open year round. Check-in 4 to 6pm /Check-out 11am. 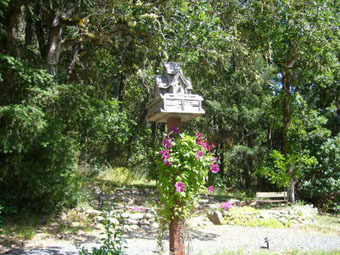 “Get away from the hurried world… retreat to the comfort and hospitality of FLERY MANOR” Elegant, Romantic, Secluded.” On 7 mountain view acres near the famous Rogue River. Fabulous Suites with king bed, fireplace, jacuzzi, and private balcony. Library, parlor w/piano, huge balcony/extraordinary views. 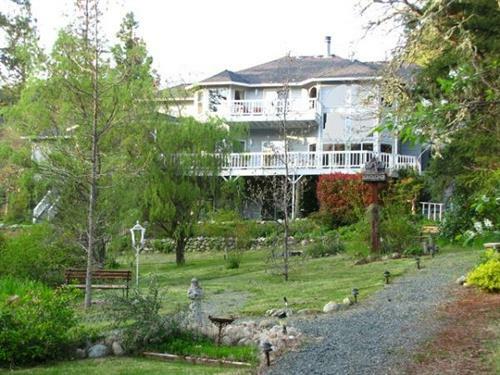 Enjoy ponds, waterfall, streams, walking trails, Gazebo, and our Art Studio. A wildlife and birdwatchers paradise. Renowned 3 course healthy gourmet breakfast. Combine activity, adventure and relaxation for the vacation you’ve been dreaming of! Very easy access Off I-5 at exit 66. About 1 mile down Jumpoff Joe Cr. Rd. to 2000. Map on our web site. 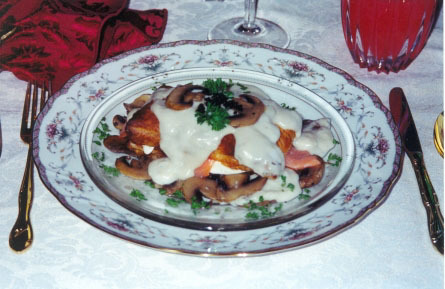 www.flerymanor.com or Call 541-476-3591 for more info.